By Greg Soukup EAGLE, Neb. 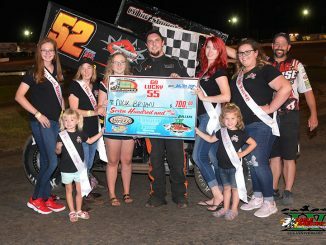 (Aug. 18) – A 10-year veteran made his first visit to victory lane at Eagle Raceway Saturday night. Brint Lemke regained the lead on the final circuit in winning the Valentino’s IMCA Hobby Stock main event. 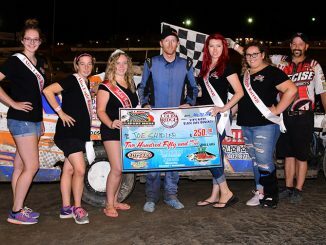 Shane Hiatt collected his second local Runner Freight IMCA Modified win of the season while Adam Gul­lion notched another IMCA RaceSaver Sprint Car victory. 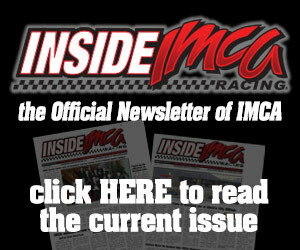 Gunner Pike started ninth and finished first in the Hoosier Racing Tire IMCA Northern SportMod feature and Justin Callender prevailed in the ATV Motorsports IMCA Sport Compact main. By Greg Soukup EAGLE, Neb. 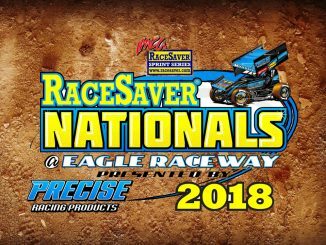 (July 28) – Nick Bryan led every lap in winning Saturday’s IMCA RaceSaver Sprint Car feature at Eagle Raceway. The victory came in just his second visit to the Nebraska speedplant this season. “Somebody showed their nose a few times, but at the same time I just kept watching the score­board, counting down the laps and trying to stay out front,” he said. Mike Densberger collected Runner Freight IMCA Modified feature win number three this year, racing from eighth starting to the lead with seven laps left. Shawn Harker won his sixth Hoosier Racing Tire IMCA Northern SportMod feature of the season while Roy Armstrong raced to his third local checkers of 2018 from the 11th starting spot in the Valentino’s IMCA Hobby Stock finale. 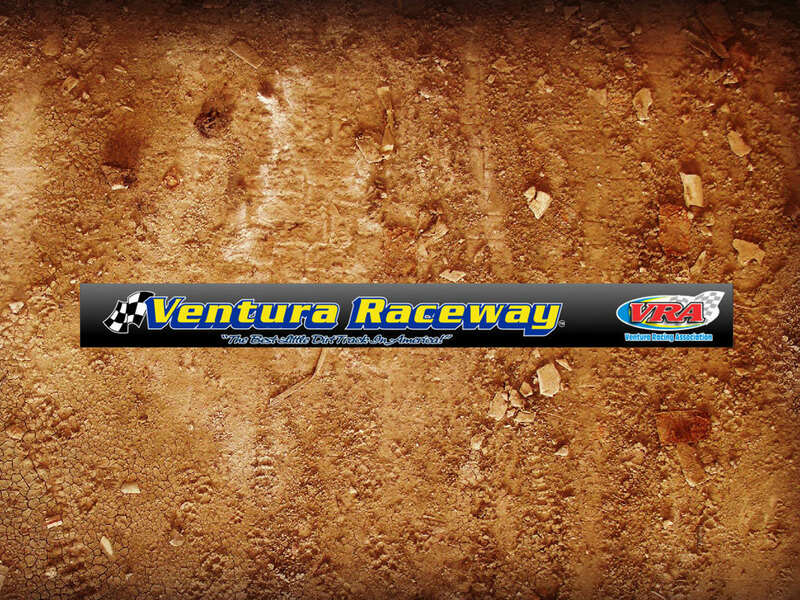 His ATV Motorsports IMCA Sport Compact victory was Justin Callender’s second of the year. He took charge with four circuits to go. By Rick Staley OSBORN, Mo. 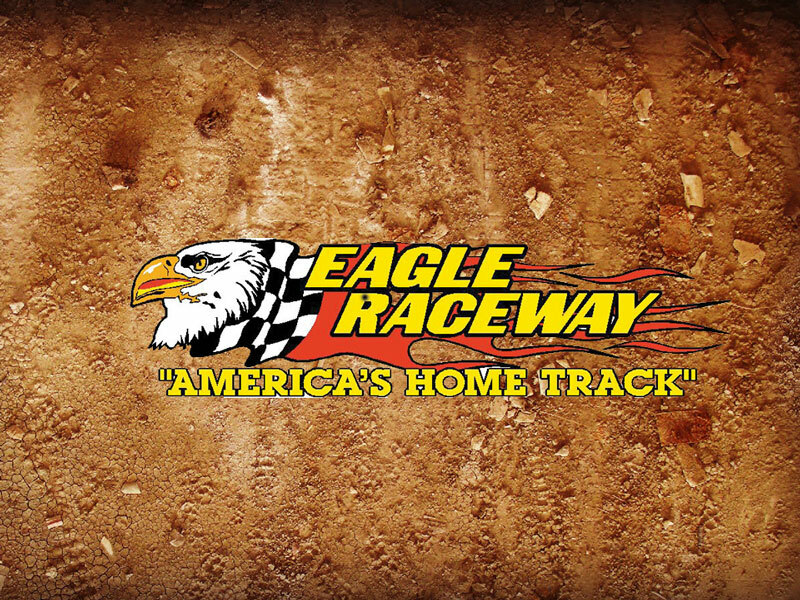 – US 36 Speedway at Osborn, Mo., and Eagle, Neb., Raceway are paying $700 to win and $350 to start their respective Friday, Aug. 3 and Saturday, Aug. 4 Misfit Challenge main events. 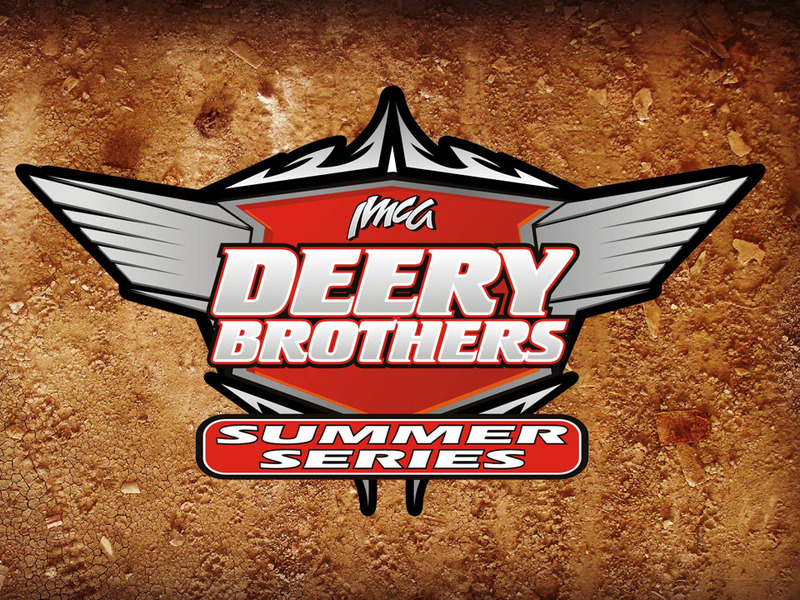 The winner of the two-track point bonus will earn $300 cash, enjoy a sit-down meal with Thomas Weeks of the Discovery Channel’s Misfit Garage during the IMCA RaceSaver Sprint Nationals weekend and compete with a free wrap Sprint Nationals weekend with the Discovery Channel Misfit Garage Design. 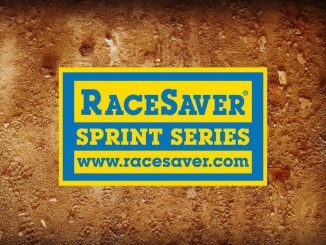 As an added bonus, all IMCA RaceSaver Sprint Car drivers racing at US 36 Raceway receive free Admission/pit pass. 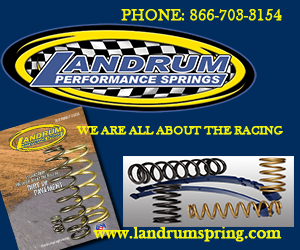 Also running Friday are IMCA Modifieds, IMCA Sunoco Stock Cars and Karl Chevrolet Northern SportMods. 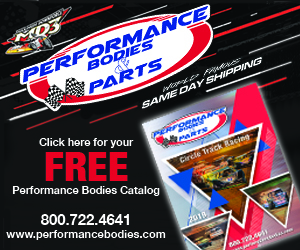 The Shocker Chassis 6-Pack Shootout for the top six vote getters in the Northern SportMods is on the card with one lucky fan being drawn to participate and win a cash prize Gates open at 5 p.m. and racing begins at 8 p.m.
By Greg Soukup EAGLE, Neb. 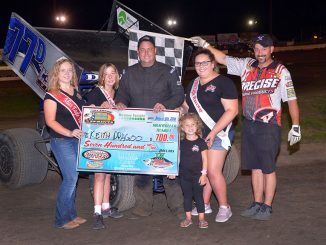 (July 21) – On the night 180 bicycles were given to young fans, Joe Schidler four-wheeled his way to his first Hoosier Racing Tire IMCA Northern SportMod feature win at Eagle Raceway. Schidler took the lead on the second lap and collected the Saturday checkers ahead of Gunnar Pike and Shawn Harker. “I couldn’t see what was going on behind me but I was hoping that it was the case that I was pulling away from the field,” he said. “The track was pretty good tonight, smooth in spots and tacky in other spots and that suits my driving style.” Dan Nelson made it to straight Runner Freight IMCA Modified victories and Kaleb Johnson earned his first local IMCA RaceSaver Sprint Car laurels. 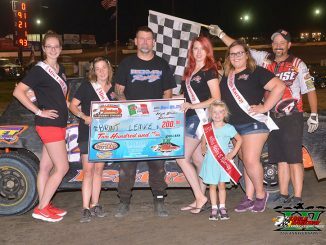 Colby Kaspar earned his first Valentino’s IMCA Hobby Stock main event win and Trenten Fugett made it two straight in the ATV Motorsports IMCA Sport Compacts.